Average Joe’s Entertainment has added Ira Dean to its growing roster. 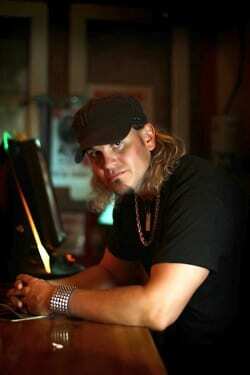 The former Trick Pony member will release his first single for the label, “Something About A Sunday,” this September. He’s also had some recent radio activity with the album cut “Beer or Gasoline,” which he co-wrote and was previously recorded by Chris Young. Dean’s self-titled solo debut CD is set to be released by Average Joe’s Entertainment in late 2011. “Ira is a true triple threat: he’s a hit songwriter, a great singer and a true entertainer! We are thrilled to welcome him to Average Joe’s,” said Pres. Tom Baldrica. “I’m very excited to be working with Tom Baldrica and Average Joe’s and to be label mates with my good friends Colt Ford and Montgomery Gentry,” added Dean. Chart-topping hits written by Dean and recorded by Trick Pony include “Pour Me,” and the Grammy nominated “Just What I Do.” Since leaving the trio in 2008, Dean has been busy writing songs for artists including Joe Nichols, Chris Young, ex–band mate Heidi Newfield, Jake Owen, Gary Allan, and Montgomery Gentry, including their big hit “One In Every Crowd.” He also has the writing credits on the title track of Proud To Be Here, Trace Adkins’ album, due out Aug/ 2.